There are some downsides to being a student reporter at a public university—we don’t, for example, have the kind of institutional and faculty support that comes from some big name J-Schools, like Columbia. But we do have one advantage that can make the reporting we do better than the reporting from any private school. Our schools are state-run institutions and, because of that, everything that the school does is public record. There are countless stories that can be told by sifting through the data and records that your school collects and stores. One of my personal favorite tricks is to request email records—you can see how and when different officials respond to different things that happened on your campus. 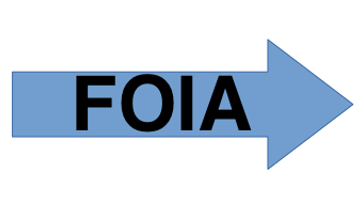 Your school isn’t a federal agency, so you probably won’t be using the federal Freedom of Information Act (FOIA) but that’s not an issue. Each state has its own state-level version of the law. In Maryland, it’s the Public Information Act. This is what we’ve used a few times at The Towerlight (an independent, student-run news organization based out of Towson University) to uncover records and detail how the university has responded to different things. I should say, before getting into a short list, that a lot of the public records work that we’ve been able to do has been because of the Student Press Law Center. They’re a great resource that even has a letter generator that you can use to create public records requests. I’m not an expert on how each of the 50 states handles public records request, but I’m going to do my best to give you a play-by-play on what to do. Step one) Become familiar with the rules in your state—and know how to answer the following questions. •	What kinds of records are exempt from disclosure in my state? •	Who do I send my records request to at my school? (For example—at Towson, requests go to the general counsel. At other schools, they go to the communications office). •	How do I send my request? Does it have to be formally written, or can it be a slightly less-formal email? •	Who will be responsible for sending records requests from my news organization? These are all important things to consider. If you don’t know what’s exempt from your state, you could wind up wasting your time filing requests for things you’ll never get answers to—and potentially embarrass yourself in front of the officials you’re requesting things from. You’ll want to know who to send your request to so you don’t lose time getting bumped from department to department. It’s just a practicality thing. And, as a rule, it’d be good to have just a few people in charge of sending records requests, so that your entire editorial team doesn’t end up constantly bombarding the same people for the same requests. It shows more cohesion in your newsroom. Step two) File the request. The most important part of this step is to be as specific as possible, but not so specific that your search comes back negative. For example, if you’re requesting a police report, know the case number—or the date and time that the incident occurred. If you’re asking for emails, make sure you know who you want them from (which officials—the provost? The athletic director? It’ll depend on the circumstance) and what key words you’re looking for and, perhaps most importantly, from which time frame. It’d be nuts to request every email an employee has ever sent, that’s why you narrow it down. Emails sent by this officials, with keywords A, B and/or C, between dates X and Y.
It’s a fine line. You want to be specific enough that you get what you’re looking for, but not so specific that you miss the chance to dig up more information. You will probably have to wait. In Maryland, public institutions have 10 days after receiving the request to even notify you that they’ve gotten in, and then they have an additional 30 days to turn over the information. Now, if you play your cards right, you can ask that they expedite the process—that’s something that we’ve started doing, with pretty good success. Tell your readers what you’re doing! While a records request is never worth its own story, it is worth mentioning in other, relevant stories. This is something that gives me a bit of personal anxiety—if we tell people about our records request, couldn’t that mean someone else will get the scoop? It’s a legitimate concern and something you’ve kind of just got to learn to feel out. After you’ve successfully filed your request and gotten a response, you will, at some point, get the disclosable information that you asked for. At that point, it’s fair game—start reporting on what you’ve learned. Don’t be afraid to ask for clarification, or to file follow up requests if emails mention the existence of something you want to see. Pick up the phone and call sources if they said something in an email if they said something you want to know about—just don’t be creepy about it. Explain what you did, how you did it and why you’re doing it. •	Utilize the Student Press Law Center. I seriously can’t emphasize that enough. They’re great. •	Be ready to appeal. In some states, including Maryland, agencies can charge for requests. We were told, once, that we’d have to fork over more than $2,000 for a batch of emails. We appealed and got that price tag removed—lots of states have a “public interest” clause, or something to that effect, when you’re requesting records. •	Be gracious. This is something I didn’t do the first time around when we requested records. I saw the price tag and got a little, let’s say, bratty, in our paper’s opinion section. Even when you’re working within the confines of a public institution, you’re still working with real people on the ground level. Good luck! There really are countless stories that can be told through public records. Go find them.